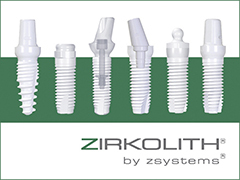 So many medical innovations have surfaced in recent years, it is easy to forget that dental implants are a relatively new option to improve a smile. Attempts to replace missing teeth date back thousands of years. In comparison, modern dental implant procedures began about 50 years ago. Today’s procedures have improved significantly, and when you consider options for dental implants, West Los Angeles based Beverly Hills Periodontics & Dental Implant Center is extremely well-established in providing the most up-to-date services available. Beverly Hills Periodontics & Dental Implant Center is the trusted source for dental implants in Santa Monica, Culver City, and throughout Los Angeles. Dr. Peiman Soleymani has earned a solid reputation for creating beautiful smiles and providing a broad range of oral health services for grateful patients. His client testimonials speak for themselves: “Dr. Soleymani did two dental implants for me with very little discomfort. I have had those implants ever since and they are doing great. He is very skilled at what he does,” said one happy patient. The Beverly Hills Periodontics & Dental Implant Center has become the periodontist Santa Monica trusts for essential dental services including dentures, bridges, disease prevention, cosmetic dental surgery, crown lengthening, and bone and soft-tissue grafting. We also specialize in treating implant complications. Dr. Soleymani has been treating these types of complications for many years and has helped countless patients dealing with these often difficult issues. For a variety of needs, from gum disease to bone loss, or fixing a failure of dental implants due to substandard work done in other facilities, Beverly Hills Periodontics & Dental Implant Center is here to work towards a speedy recovery and help regain your smile. For periodontal treatment or dental implants, please call Dr. Soleymani’s office at 310-275-4606.